Bajaj Auto established in the year 1945 is one of the leading manufacturers of auto rickshaws and two-wheelers in India. 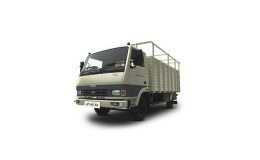 It is world’s largest three wheeler manufacturer and plays a crucial role in terms of producing light commercial vehicles in India. Bajaj Auto offers an array of products in compliant with all fuel types in the commercial space. Currently, the most sought after product in this space is the Bajaj Maxima C truck price of which starts at INR 1.95 lakh (ex-showroom). The light cargo vehicle with best in class mileage, better pick-up and gradeability is extremely popular amongst the small businesses. With the world going green, Bajaj has also adopted the latest BS-IV emission norms in its range of vehicles. Since 1961, the company has changed the way Indians commute, touching their day to day lives. With such products, Bajaj is constantly exploring new dimensions for the enhancement of its products and to make public transportation easy. Bajaj has over 966 dealerships network and service points spread across India. The company has three manufacturing facility in Chakan and Waluj in Maharashtra and Pant Nagar in Uttaranchal. Being the largest exporter of three-wheelers from India, company has wide presence in 36 countries and still growing.